Find Louisville, CO Homes for sale. View Photos, Maps and MLS Data Now! Homes in this area under 600k are very rare and hard to find. This one will go quickly. MLS#3925875. Pro Alliance Elite. Close to trails & Coal Creek Elem. MLS#4860721. RE/MAX of Boulder. Master suite w/ vaulted ceilings, walk-in closet, 5-piece bath, private balcony, and mountain views. MLS#1574085. 8z Real Estate. Enjoy entertaining in the backyard complete w/ covered dining space & cozy gas fireplace. MLS#1906632. RE/MAX of Boulder. Ideal location with a park just one block away, highly rated schools, and a price that is hard to beat, come and see while you can! MLS#7409941. First Summit Realty. Dutch Creek - Across the street from the Coal Creek Trail and Open Space MLS#9751008. Breslin & Co Inc. 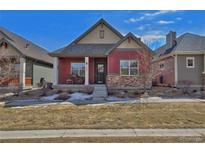 Walking distance to Old Town Louisville w/restaurants, cafes & shops in the coveted Boulder Valley School District! Easy commutes into Boulder & Denver. MLS#2352229. MB TEAM LASSEN. Seller is a licensed Realtor. OPEN HOUSE 4/14 @ 1-4PM MLS#9670083. Access Properties Inc.
Don’t miss your chance to get into this beauty of a home, in a highly sought after zip code that turns others green with envy. MLS#8702735. Coldwell Banker Residential 14. Coal Creek Ranch - Easy access to Old Town on the Coal Creek trail and Heritage Park and to I-36 Boulder/Denver, shopping and dining. MLS#3629699. Coldwell Banker Residential 14. Spacious floor plan with a partially finished basement and ample storage in the unfinished area. MLS#9444593. TRILOGY REAL ESTATE. Privacy for backyard entertaining, gardening & fun! Furnished photos are virtually staged. MLS#1555705. Louisville Realty Associates, LLC. Easy highway access for quick commute. MLS#6783073. Redfin Corporation. New oak stairs, Active security system. 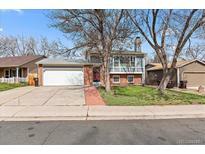 MLS#1796980. Coldwell Banker Residential 14. Great trails, paths, tennis courts, playground, Harper Lake & Davidson Mesa nearby. MLS#5860104. 8z Real Estate. See the 3D tour for more details! MLS#3338447. Redfin Corporation. Easy access to RTD, Denver and Boulder. MLS#2294116. RE/MAX ALLIANCE. Main Street is 3 blocks away. MLS#7587450. RE/MAX of Boulder. Attached oversized 2 car tandem garage. New Roof March 19. MLS#3334497. Staufer Team Real Estate. Hurry, this one won't last! MLS#3371879. Berkshire Hathaway HomeServices Innovative RE. See why Louisville is a top rated place live..!! ! MLS#6488367. COLDWELL BANKER RESIDENTIAL 18. Easy access to Old Town on the Coal Creek trail! MLS#7505987. RE/MAX of Boulder. HVAC approx 5yrs old A Beauty! ! MLS#4205652. WK Real Estate. This lovely home is ready to move in! MLS#2527993. WK Real Estate. Noise Dampening Fence! Must see this one! ! MLS#5551710. WK Real Estate.